There’s just under a month left until our education inspection framework consultation closes. Thank you so much if you’ve already responded. We’re busy analysing the 4,500 responses we’ve received so far, but we’d still like to hear from you before 5 April if you haven’t responded to date. Those of you who have read the draft handbooks will have seen what we’re proposing we look at from September. The responses so far to the idea of inspectors focusing on substance by assessing the quality of education is overwhelmingly positive. We’ve held 60 pilot inspections so far, with even more to be held over the summer term. We’re planning 200 in all and we’re learning all the time from the experience. As such, I thought this was a good time to put some more flesh on how we’d like to inspect under the new framework. Currently, inspectors carry out pre-inspection preparation remotely the day before they turn up at a school. We’ve been told for some time that the initial contact between an inspector and a school leader can seem too process-driven – 2 people going through admin and columns of figures – instead of a proper conversation about what’s going on at a school. In response to that, we’re piloting a new approach, where the lead inspector arrives at a school the afternoon before the inspection starts in order to co-produce the inspection with school leaders. So far, the feedback from schools taking part in the pilots has been quite positive. We’re not even halfway through, but more than half of those who have taken part in pilots and given us feedback have expressed their view that on-site preparation is more effective than existing arrangements. What seems to have been particularly well received by these schools was the chance to build a professional relationship with the lead inspectors in advance of the inspection starting the following day. We’re certainly not turning a deaf ear to criticism and we are listening. Through the pilots, we want to refine the processes and try to address issues that are raised. We want to keep exploring how we can secure and build the benefits of a proper, educationally focused conversation between inspectors and leaders before inspection. We’ve also had a mixed, but broadly positive, set of views on inspectors not looking at the internal performance information for current pupils. I think a lot of the confusion has arisen from how people imagine this conversation might go and from what we mean by ‘internal performance information/data’. Let me give you an example. A leader’s assessment of the stage their school has reached is always going to go beyond what’s in published data. 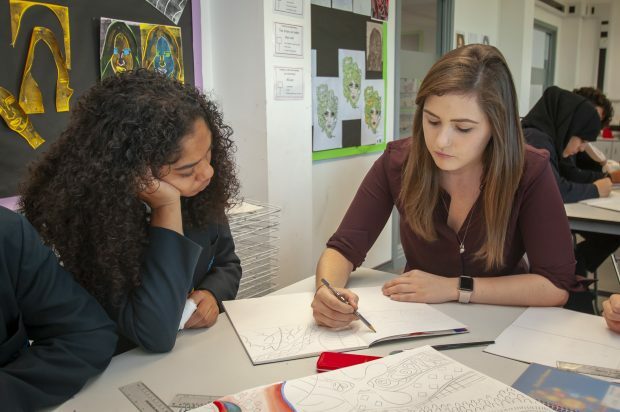 It may be that the school has made some changes and pupils now know far more and can do far more than the previous cohort who were captured by the last round of tests or exams. Schools want to explain that to inspectors. Inspectors will listen carefully to that explanation, exploring and probing it with you. Is it legitimate for you to draw some of your understanding from your internal performance information/data? Yes, of course it is, although that information will never tell you all or even most of what you want to know. But what is not a worthwhile use of inspection time is for inspectors to try to dive into your own particular style of collecting and recording data, especially as so many schools use so many different systems. Not all internal data is standardised or reliably analysed, and nobody wants inspectors spending their time trying to track back through the data to test the process by which it’s been created. It’s enough for inspectors to know that this is your analysis of what’s happening in your school – they don’t need to see the spreadsheets! The next step in the conversation will be the most crucial. Inspectors will want to know what you do with your assessment information to, for example, improve the curriculum or its implementation. They will say, ‘Okay, let’s go and see that together.’ In other words, is the theoretical story you’ve set out an accurate picture of what’s really going on in your school? That’s the essence of inspection; it always has been. It’s about first-hand evidence gathered in classrooms and corridors, not spreadsheet analyses. Inspectors will still use the inspection data summary report. But it’s only ever a starting point and always has been. It cannot lead to conclusions. Making progress means learning the curriculum, not increasing points scores. Finally, we've had a range of opinions about our inspectors spending 2 days on site during a section 8 inspection of a good or non exempt outstanding school. Some school leaders raised doubts as to how the whole of the curriculum could be judged in less than 2 days, but quite sensibly, many have highlighted that a lot depends on how many inspectors will actually visit each school. We will continue to listen to this debate. Realistically, we also acknowledge that a 2-day section 8 inspection of a very small primary schools might be overkill and risk becoming indistinguishable from a full section 5 inspection for the same school. So we’ll take that feedback, think about it, and do some further work before we bring forward our consultation response. I’d like to thank all those schools, early years settings and further education providers for taking part in the pilot programme. We will continue to listen to feedback from those involved, alongside the responses to our consultation, so that we can shape a new inspection framework that works in the best interests of learners. I am absolutely determined that we turn round these comments as quickly as possible. I’ve asked my team to do everything in their power to analyse this ongoing feedback and publish the consultation response and finalised handbook before the end of May. I hope that this will be seen for what it is: an attempt to give everyone we inspect the earliest possible clarity on the new inspection arrangements as they will exist from September. I welcome the new changes. A few thoughts before I submit my own consultation responses. 1. Re. on-site inspection the afternoon before the inspection starts. Will Ofsted consider the workload implications this has on steering one or two key people away from their day-to-day work? If this is supporting a meaningful conversation, is it time to move back to week-long inspections so that more reliable data can be gathered - and help balance workload. 2. "... diving into [a school's] own particular style of collecting and recording data, especially as so many schools use so many different systems. Not all internal data is standardised or reliably analysed." If a school wishes to demonstrate that they are on the right track, but have only past data to rely upon and two days to justify how they are improving. As you rightly state, "although that information will never tell you all or even most of what you want to know..." the same could be said when Ofsted look at the school's headline data. "It may not tell [the visiting inspectors] all they need to know" about the school and the context in which it is working and moving. Perhaps it is time to move towards meaningful conversations rather than just collecting reams of evidence? If teachers and school leaders were 'listened to', they may feel part of the process and invest in it more? 3. "Okay, let's go see it..." and now the senior leader tries frantically thinking about which teacher/classroom we can visit ASAP so that I can 'show you' in the 2 days you are here from the 190 days of the academic year. It's a useful thing to do, but its reliance on the day could be the make or break for some schools. 4. "It’s about first-hand evidence gathered in classrooms and corridors, not spreadsheet analyses. " Ofsted dropped the grading of lessons (2014) because of the weight of evidence against it. Research has now shown for many years that gathering data about learning in one-off lessons is no reliable or valid, so why are Ofsted still pursuing this method for gathering evidence? 5. Many have "raised doubts as to how the whole of the curriculum could be judged in less than 2 days." Quite rightly so. There is not one person on planet Earth who can visit a school over two days and make a reliable judgement of a school’s five-year curriculum plan. It’s that simple. Surely regardless of section 5 or 8 inspections, the number of inspectors could be made proportionate to the number of pupils on role. At least then the process becomes somewhat balanced and takes less pressure of inspectors to cover all aspects of school life that are/are not observed in 2 days. 6. Finally, it's good to see the framework being roadtested. Two points; were schools asked or did they volunteer? If so, can you publish a full list of those who you visited? Thank you. Interesting feedback. I note 'more than half' and 'quite positive' in the comments. Is this really good enough? The response to the last framework in 2015 was much more positive, with the increased focus, that time, on L&M and that framework, basically, has not worked well. Schools have 7 years in both secondary (7-13) and in primary (R-6). There is far more to see and make judgements on than the few cohorts that are exposed to public scrutiny via tables. Does this mean an even more closer focus on the cohorts which form the published results, which may be almost a year out of date? Thanks. I do hope to see this comment published. There is no reason for it not to be. Where can we access information of who has taken part in the pilot, I am keen to see how the pilot inspections spread across further education and independent training providers. Hi Michelle. Those providers taking part in the pilots agreed to do so anonymously. However, we’re piloting with a range of providers. This includes small, medium and large GFE colleges, sixth-form colleges, small and large independent learning providers, employer providers, community learning providers, and independent specialist colleges. Thank you for the response to my question. The language in the feedback from pilots seems to only focus on schools for example; pupils and classroom. Is there any feedback relevant to apprenticeship training. Hi Michelle, the blog covers some of our interim findings from the pilots. We will publish fuller findings from the pilots and the consultation outcome in due course. Extending the notice period and first contact with the lead inspector will ease leaders workload and enable the inspection process to run more effectively. Both school and the inspection team want to make sure there are opportunities to gather quality evidence, meet key stake holders and observe a range of lessons. In a larger school, a headteacher will need time to consult the staff to make arrangements and give the inspector up to date information of any curriculum changes ( trips or enrichment activities for example) which enables the inspection team to plan their timetable more effectively . Often simple practical solutions like finding a room for the team may involve cancelling other activities which takes time. Having an extra day to prepare will not change inspection outcomes as inspection looks at progress over time, but will reduce the stress on senior leaders to make the next 1-2 days run effectively . Some headteacher may resist leaving the building to attend meetings for fear they miss the call. It is important the inspection process does not increase the stress and strain on busy leadership. Giving an extra day to prepare would help both sides. Are there any thoughts on inspecting during Y6 SATS week? There are statutory timetable changes which mean halls and lessons may be affected beyond the school’s control.senior leaders have additional responsibilities such as securing test papers and overseeing the test arrangements which may limit their availability. If inspectors want to observe the curriculum, it may not been taking place the same way during SATS week as halls are being used for exams and other activities will be adjusted to avoid disruption . Hi James, do let us know what you think via the <a href="https://www.gov.uk/government/consultations/education-inspection-framework-2019-inspecting-the-substance-of-education">consultation</a&gt;. It is very positive to read how seriously Ofsted is taking the introduction of a new framework and its effect on schools I think will depend on how the schools were selected for pilot. I'm thinking that 'over half' of 60 schools (so far) is not so concrete for the early arrival question. Especially if those schools are all of a particular context e.g. A similar size. I hope we can see, if not the name, then the context and manner in which these schools were selected. I would also like to read some of the reports that are produced to see how the language is framed. Hi Rebecca. Schools volunteered for this stage of piloting, but we have tried to get the best range possible. While we don't publish the inspection reports, we will publish a consultation response. I feel that the new OFSTED framework is moving in the right direction. 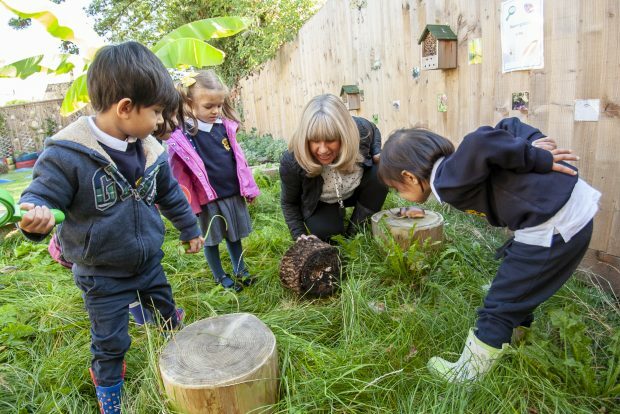 The whole development of the child is vital and a wider focus on the whole curriculum is just and correct. There is no doubt that some schools have been narrowing the curriculum at the detriment of a broad and balanced curriculum, due to the league tables and the pressure that puts onto schools. My only concern with the framework is for teaching heads and the pressure of the inspector arriving at the school in the afternoon, may cause difficulties in organising release time. In relation to the on-site inspection starting the afternoon before, the schools that I know of who are involved in pilot inspections already know in advance when they are being visited. They are already prepared. I wonder if this has been taken into account when reporting positive responses. This may feel very different when schools do not have any notice that an inspector will shortly be arriving when leaders are trying to support staff.